Changing the house is indeed a painful thing. We have cherished our dreams there and had great memories. However, when you need to change it, you have no alternative left but to shift your residence. There can be various reasons to sell your house. At times, selling a house becomes necessary due to downsizing, transfer, urgent need for cash or such other reasons. 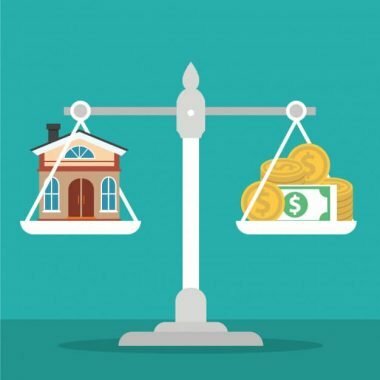 We often meet people saying, “I want to sell my house fast for cash” or “I need to sell my flooded house.” Selling a house is itself a critical task which is more crucial when you want to sell it for cash. There are a plethora of hurdles in your way to selling your house and we can understand it. We have brought here some of the most effective tips for you that will help you sell your house fast. Have a look at it and get great results. Listing your property is definitely one of the best ways to sell your home fast at a good price. There is a different property listing sites where you can get potential buyers and reach a maximum number of people to sell your home. It is often found that people list the house on the major sites. Rather, it is better to give the information to the large extent of people through the local listing sites, social platforms and such other resources that can help you reach the maximum number of people. Make sure to provide with all the possible information of the property so that the buyers do not have any query related to your home. If you have a bad shaped house, then you surely need to repair your house as nobody would buy a bad shaped home. However, if you think that a well-maintained house doesn’t need home staging, then you are wrong. House staging is one of the best technique to not only increase the value of your house but also to sell your home fast. While opting for house staging, make sure you fix the smallest damage and renovate your house in such a way that it increases the curb value. Remember, the external parts of the house extremely increase the curb appeal so don’t forget to put extra efforts on the same. Repainting the house at times, might seem to be an unnecessary expenditure but is surely something that will help you increase the buyers’ preference for your house. You may have your own choice of colors for walls and ceilings, however, when you want to sell the house, you should bear in mind to choose the type of colors that gives a soothing feeling. Apart from painting, bring in some space in the house to make it look spacious. Declutter the house by selling the furniture that is not useful. It will increase the space and make it look more attractive. When you are in the urgent need of cash and want to sell your house fast, selling it to the investor is undeniably a great alternative. Selling a house to investors is the best option for all those who have a bad shaped house and does not wish to opt for repair. Moreover, when you sell your house to investors who buy it for cash, you get the fastest closing as it doesn’t involve any bank approvals. Apart from the above tips, also consider revising the cost of a house if that seems necessary to get the better deal. Nonetheless, using above tips will surely lead you to sell your house fast cracking the best deal for your house. Krima Miller is a full-time blogger who is always passionate to explore new areas of writing. She believes that being unique is one of the best mantras of a successful writer. Nothing can stop her from uncovering the eccentric facts about everything! It’s great that you talked about how much a little bit of honest communication can do for you. I am currently looking to sell my home because my family has grown like crazy in the past couple of years and we need a bigger home. I’ll be sure to make sure I’m honest in my communication when I have buyers come by. These tips are exceptionally useful for the individuals who are intending to offer their home. You need to ensure that you take after every single step. Offering your home could be a hard procedure, however with an appropriate learning and guide, everything can go smoother for you. This is some really good information about property listing. I liked what you said about how to repaint your home to make it look better can help it show better. That does seem like a good thing to be aware of when you want to sell your home quicker. Home selling is a very stressful and time taking procedure. If someone wants to make more profit, then one should have enough patient. Realtor could provide suitable assistance to sell a home with better profit but take more time to do so. If someone want to sell a home or any other commercial property instantly, then one could contact a real estate investment company. Such companies are associated with real estate business and could make profitable deal instantly irrespective of the time of the year. The home I grew up in is no too much to keep up with since my mother has passed. I just don’t know what I am suppose to do with this home. House staging is something I have never heard about, I didn’t know that would improve my house value! I will do whatever it takes to sale my home fast. I may look into getting help for this big task. Thanks for pointing out that it’s a good idea to provide all of the possible information a buyer would want on the listing site. My husband and I just had our third child, so we need to get a bigger house and soon. We’ll have to find some places to list our house on and make sure that we have all the info on there. One thing I discovered during the research was that many real estate agents are willing to provide free real estate assessments with the hopes that providing such a service will put them in your good graces and employ. Great communication and honesty also are a big thing. Thanks for posting this and Best Regards! I really like your tip to try and put as much information as you can into your listing, that way you can avoid a lot of questions from potential buyers. My brother has been thinking of moving so he can be closer to his job. I will be sure to suggest to my brother that he takes the time to be as thorough as possible with any listings that he publishes! Your advice to sell it to an investor if you are in urgent need of cash and want to sell your house quickly is a good idea. When doing this, you’d probably want to research local investors and companies that specialize in buying houses for cash. This could help you find one that is reliable so you can trust them to offer a good price for it and afford it. It’s interesting that you mentioned repainting your house to more soothing colors that are more to the buyers’ preference. I never thought about this helping out with the sale of a house, but I know that a lot of people have problems with color when they walk in a house. This is definitely something that we’ll think about and consider before we put our house on the market.